Superior Bands offers a variety of spools and spool accessories; including the standard one-piece spool, two-piece spools, speed-up spools, and C-clips. Each of these spools have features to set them apart from the others. All spools are made to fit a one-inch line shaft. 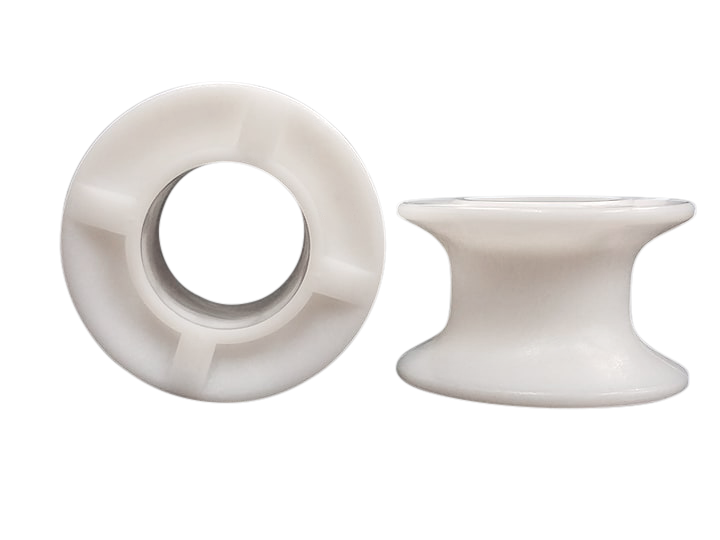 White standard spool: standard one-piece spool. 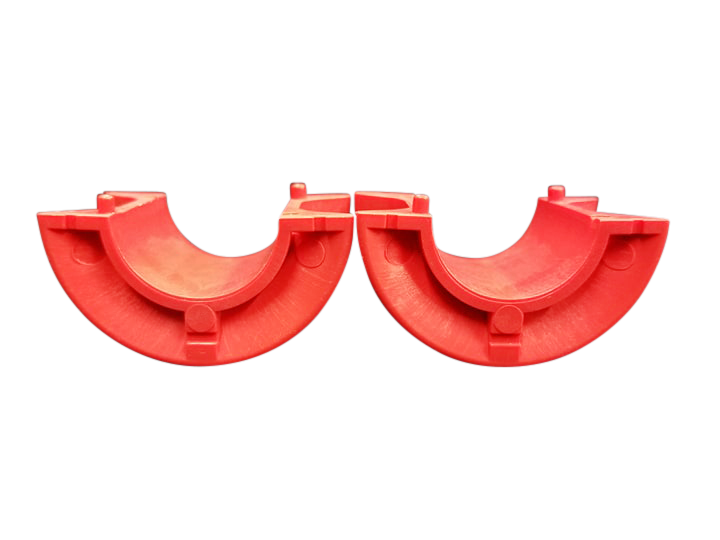 Red split spool: a clip-together spool for easy installation. Does not require the line shaft to be disassembled. Green speed-up split spool: a clip-together spool for easy installation that also increases conveyor speed by an average of 44%. Does not require the line shaft to be disassembled. 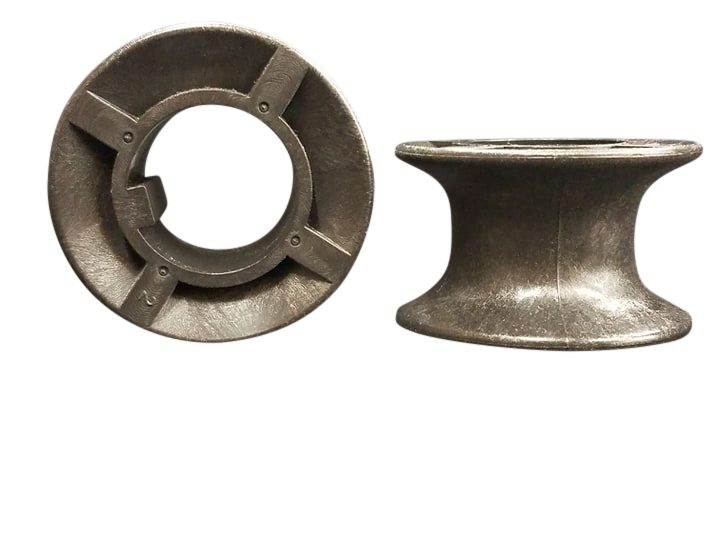 Black keyed spool: spools for curved, inclined, or greater drive conveyors. 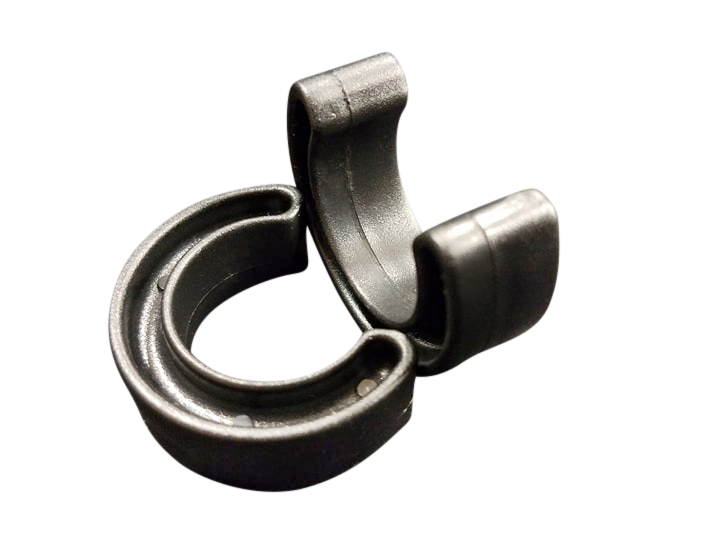 Plastic C-clip: a half circle which is placed on either side of a spool to prevent slipping and premature O-ring wearing.